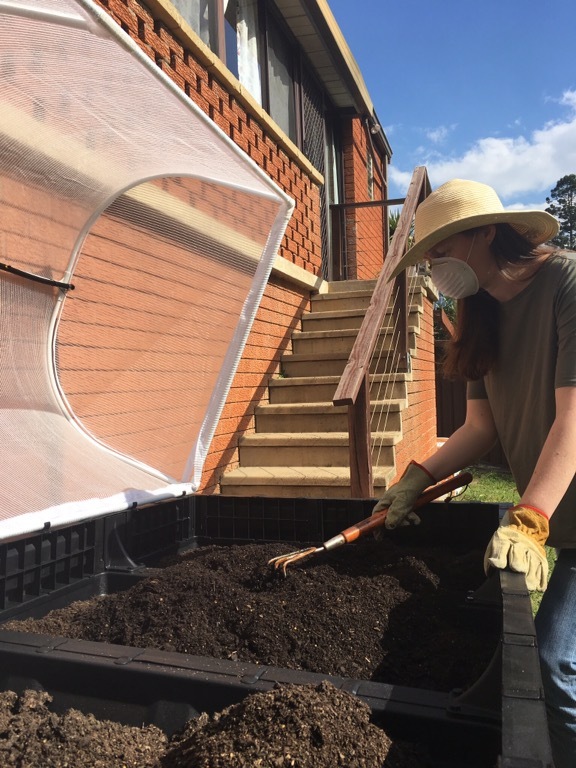 For our birthdays this year, my husband and I (with the help of family) invested in a raised garden bed called a Vegepod. It’s a modular, portable system that was featured on Shark Tank. 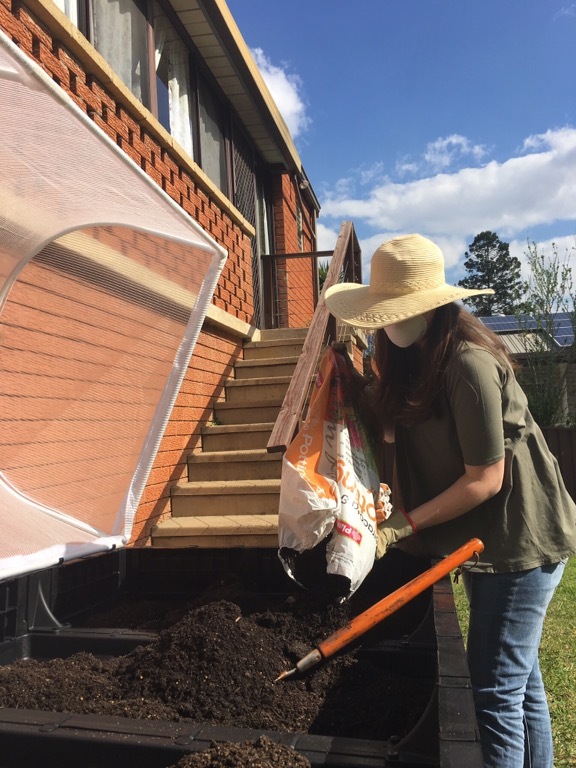 It seemed really easy to use and good for renters like us so I decided to document the whole Vegepod build and grow process to see how good it is and what it’s like learning to grow veggies at home… so here’s the first instalment. I’ve always been interested in gardening. I grew an enormous zucchini when I was a toddler – or so the story goes. As I got older I grew (and often killed) lots of other things. A lovely old ponytail palm is the only survivor from my early 20s and I have a fiddle leaf fig that’s 3 or 4 years old now. Last year I explored growing all kinds of indoor plants with mixed success. I still have lots of these plants, as well as a few newbies, alive and well around the house which is so nice. This year I began a potted garden on the front porch – complete with handmade planters built by a family member. And I’ve managed to keep a vivacious succulent stash on the back stairs. Some pretty neglected plant pals reside on our back deck too; a happy dwarf olive tree, scraggly agave and wonky frangipani surviving despite the lack of love. So that was our starting point: the majority of our plants being flowers and foliage, our knowledge of gardening growing steadily as we go – but still VERY patchy to be fair. Now to the Vegepod! We decided to buy the medium size (2m x 1m) as well as the matching stand. We got ours at our local nursery but you can buy them from the Vegepod website as well as plenty of stockists. 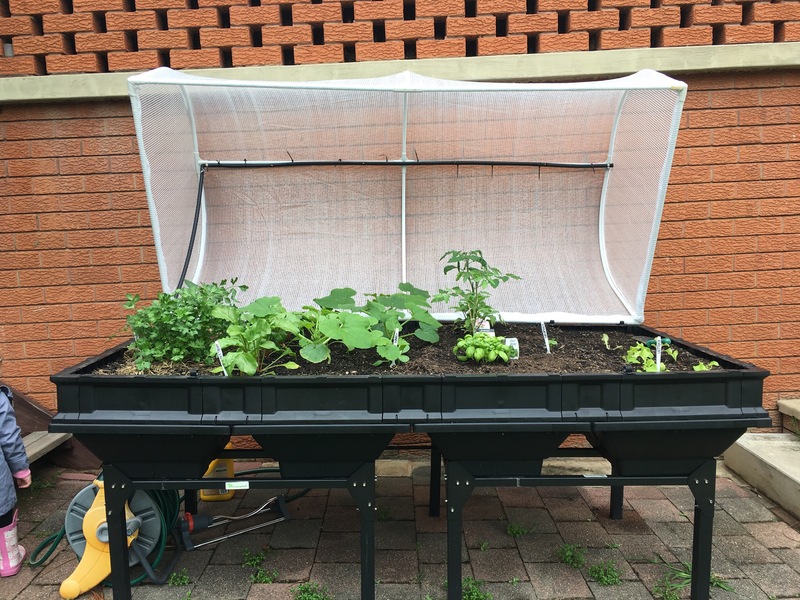 Pods come with a special domed cover and built-in drip irrigation line. The actual structure of the garden is called a ‘wicking bed’ and is designed to collect and store water in the base. That way you’re making the most of any water that comes from the clouds or the watering can! No drop is wasted. Each of the sections in the Vegepod has its own water storage section with an overflow hole to prevent water-logging. The hood is perforated to let rain in and keep birds and most pests out. It’s also hinged so you can easily open and close it. We positioned our pod in a nice sunny spot in the backyard that was already paved (to avoid sinking legs). The pod comes in a flat pack style box and is pretty straightforward to assemble. The best thing was that we didn’t need any tools to put it together and the pieces were so simple and solid that our 2 year old daughter could help us build it! After it was all set up, I went ahead and filled it with a good quality potting mix and mixed in some worm castings as well. 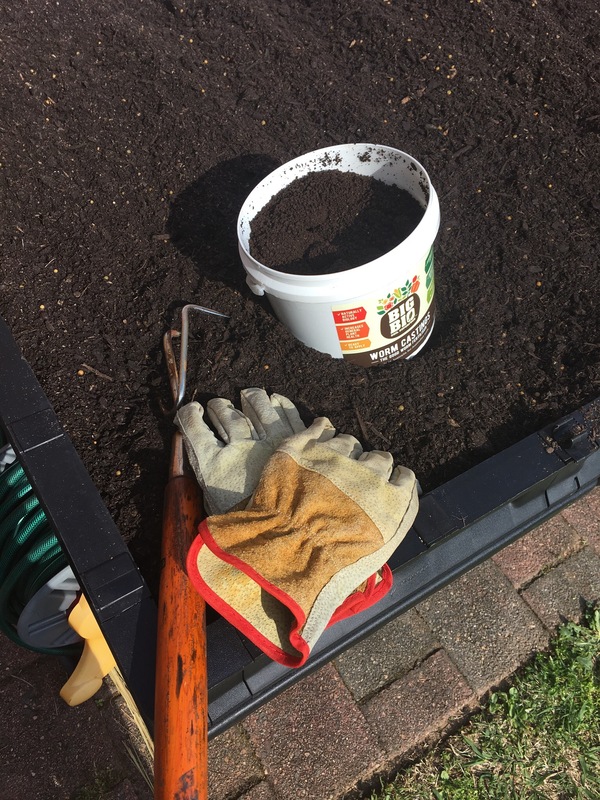 We opted to leave out manure and perlite but we’d like to add them when restoring the soil after our first growing season. I made sure to use a face mask for this to keep the nasties out. Our first choices for planting were: chili, parsley, summer squash, beetroot, tomato, basil, cucumber and lettuce. These were a mixture of young plants and seedlings. 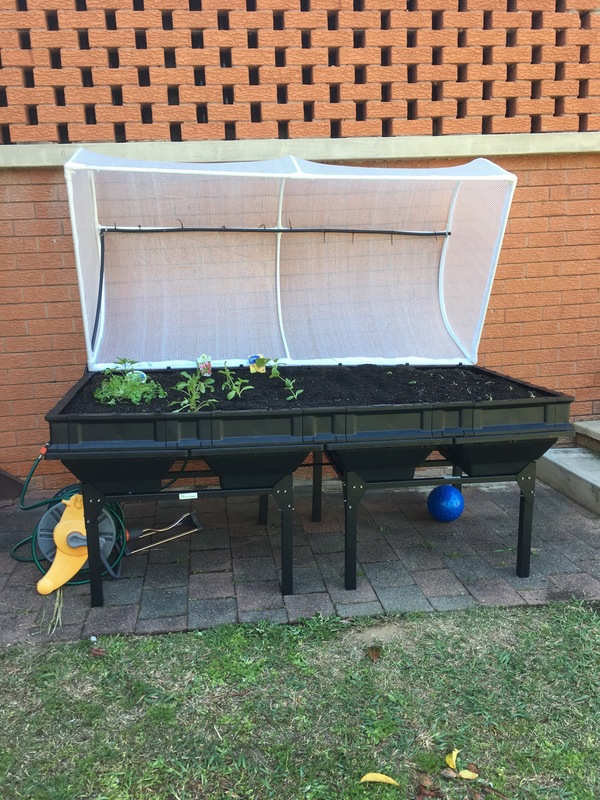 We’ve added them gradually over a few weeks because we have two little girls who make long gardening efforts impractical so short little sessions are how we’ve got it done. When we first planted our leafy friends, we ran the irrigation line for 5 minutes a day for about a week to help the young plants get established. After a few weeks we also watered in some seaweed solution to help the plants soak up nutrients. 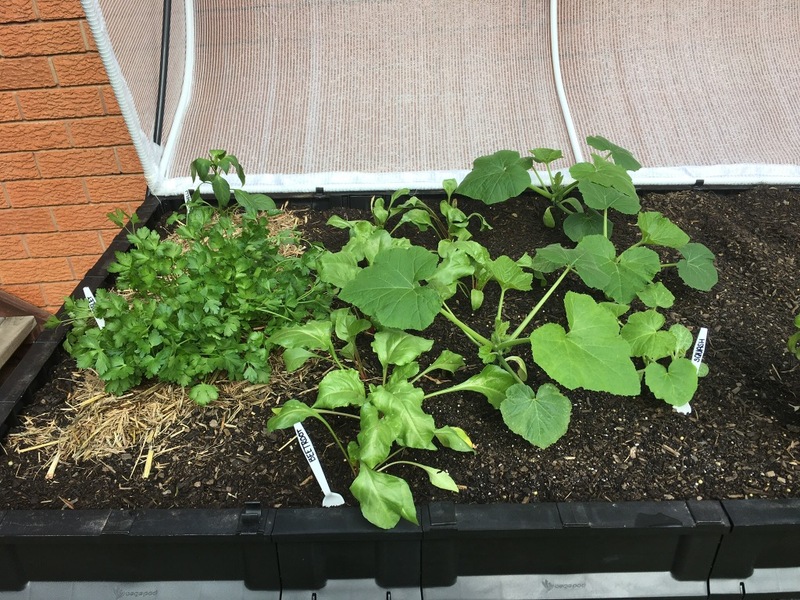 Unusually for October, we’ve had incredible amounts of rain so our bed is growing strong and our wicking beds have been full of rainwater all month. 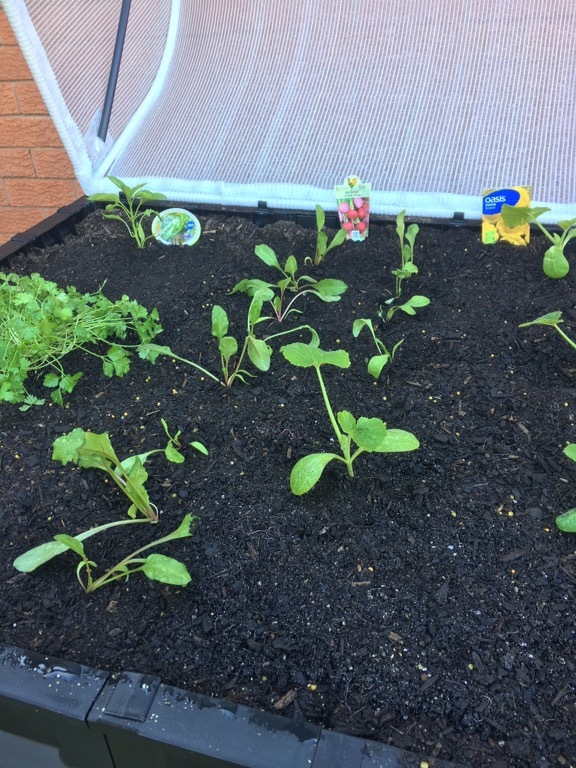 Apart from a few waterings and seaweed boost, we’ve let the plants be and they’ve been happy and thriving – we only lost one or two little seedlings. 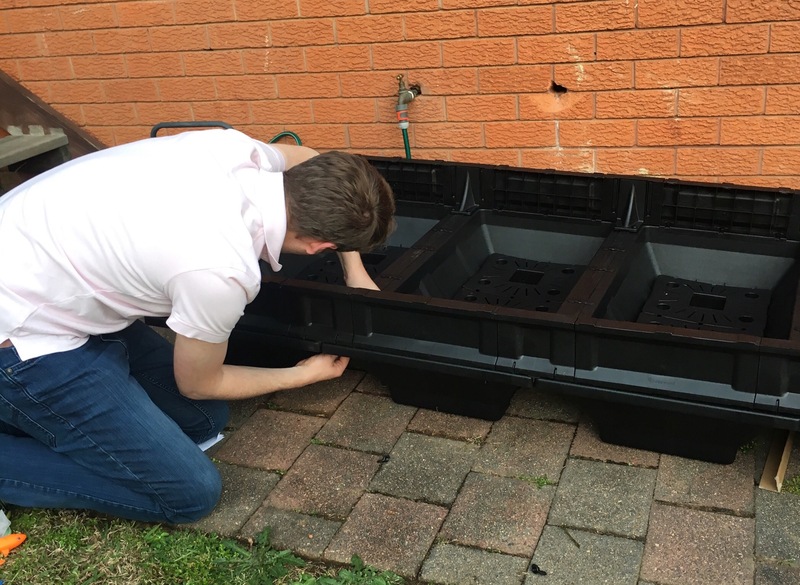 The Vegepod has been brilliant so far and perfect for us as renters and amateur gardeners. We’ve also come to be very attached to what we call ‘the bible’ – a guide to small-space gardening called Grow. Food. Anywhere. by Dillon and Mat from The Little Veggie Patch Co. Both are helping us learn the ropes as we have a go at growing our own food. Today I planted out a few more tomato and cucumber seedlings. The next job will be to mulch the bed. As you can see it’s a work in progress but I’ll put up more updates as we go so you see how we get on with everything. I can’t wait for our first little harvest to begin. Our little daughter already loves checking the plants each day and I’m so excited for when she can help collect produce to eat. The whole project has been really fun so far and I’ve been so motivated by it that I started a little potted plot for my daughter where she can grow strawberries and flowers from seed. Truth be told, I’m having way more fun with her little garden than she is but that’s usually the way with the activities we do together. I must still be a bit of a kid myself!